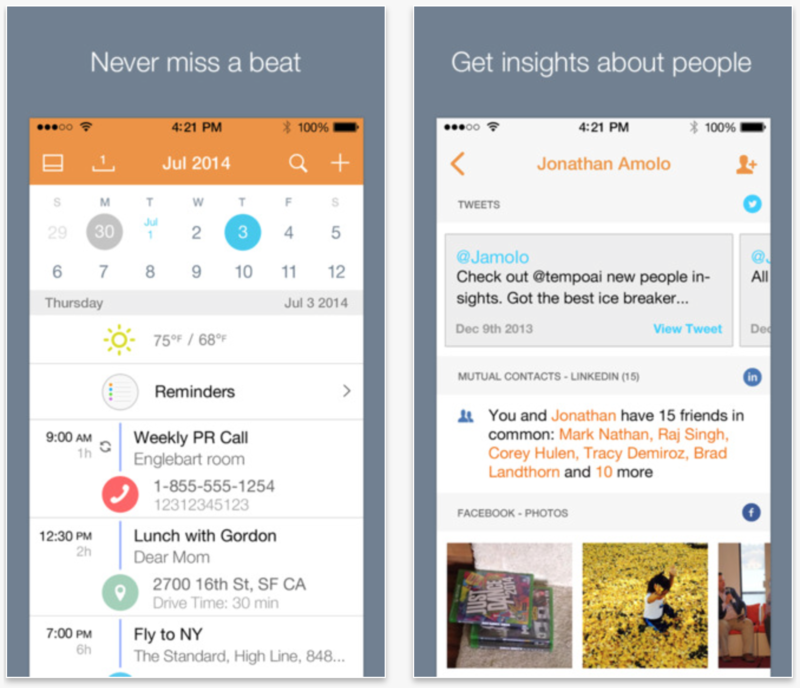 Tempo Smart Calendar for iOS just received a big update, bringing the app to version 1.6. The update allows the app to take full advantage of the new functionality in iOS 8, adding a new Notification Center widget and support for interactive notifications. With the new Tempo Widget, users can see their upcoming events, as well as information about their next immediate meeting. And with interactive notifications, users can get directions, dial-in to conference calls, and check on things like their flight status. Rounding out today’s update is a new Evening Alert feature that prepares you for the next day, as well as various bug fixes. Tempo has also gained support for 10 new languages including Japanese, Korean, Chinese, Russian, Norwegian, Swedish and Polish. Tempo Smart Calendar works with Google Calendar and Exchange, and is perfect for helping manage a busy meeting schedule. It made our list of top iPhone calendar apps, and we recommend checking it out in the App Store for both iPhone and iPad for free.